We are excited to release our new Project Builder! Designed to give you control of the build so we can get your project in faster and get you out shooting earlier! Welcome to The Sig Armorer! TheSigArmorer.com is your home for all of your Sig Sauer pistol customization needs. Whether you seek action work or straight forward advice we'd like to be your first choice as we continue to expand our line of quality products and services. Ready to place an order? We are excited to announce our new Project Builder has been added to our online order system with pre-paid round trip label service. Simply find the service you want, add any additional options you'd like, add it to the order, view the order, fill in your information and submit! Please see our FAQ section for more information. If you're having trouble placing an order online, give us a call and we will gladly walk you through the process. Have a question for The Sig Armorer team that wasn't answered in the FAQ's? You can now contact us easily via email using our new contact form, calling us at 972-342-2717 or by sending us a message on Facebook. While our primary focus here at The Sig Armorer is on the Sig Sauer line of pistols, we do offer a variety of work on several other platforms including M&P, XD and H&K (but not Glocks... yuck!). If you don't find what you're looking for below, please feel free to contact us and we will do our best to accommodate your needs! In order to start your project off, find the category your pistol is in and choose the action job that you are interested in. Once you choose an action job you would like, a new tab or window will open with the details and additional options that are available to be added to it. Available for all models of the P-Series pistols including all Legion and SAO variants, as well as the P220, P224, P225, P226, P227, P228, P229, P239 and P6 versions. If there are any questions, please don't hesitate to contact us! Available for all models of the P320 pistols including the P320 X5, P320 X-Carry, P320 Full-Size, P320 Carry, P320 Compact and P320 Sub-Compact versions. If there are any questions, please don't hesitate to contact us! Available for all models of the P365 pistols. If there are any questions, please don't hesitate to contact us! Available for all models of the P238 and P938 pistols. If there are any questions, please don't hesitate to contact us! The Sig Armorer Carry and Competition Level Action Jobs aren't just for Sig Sauer pistols! We offer our services on the M&P, XD and H&K lines of pistols, as well as the P210 and most 1911's. If there are any questions, please don't hesitate to contact us! How do I use the Project Builder System? To use the new Project Builder, begin by selecting the model series of pistol or pistols that you would like to have work performed. Once you've chosen the pistol model series, make your selection of the available action jobs to continue to on to the specific page for that action job. After you've arrived, choose the series of pistol you currently own. (I.E. if you own a P-Series pistol, you would choose P226, P227, Etc.) Once you've chosen your pistol, you have the option to select additional services or add-ons as you see fit. If you choose to not include any of the extra options you are able to skip these completely. After you've made your selections (or if you've decided to skip this step) navigate to the bottom of the page and press the Add to Order button. Doing so will add the selections to the cart and you will be able to checkout by selecting the "View Cart" link at the top or by viewing the new drop-down cart and clicking either button. Once on the checkout page, you're presented with the itemized cart with the pricing for each add-on. If you choose to edit any of these options, simply select the "Edit" button underneath the top level item, click on the add-on that you would like to remove and choose the "Clear Selection" option under the picture. Once you're finished making changes, selecting the "Add to Order" button will simply update your order rather than re-adding the item to your cart. If you are happy with your selections and don't desire to alter them you may either proceed with the checkout form or if you you would like to add another project click on the home tab and begin this simple process over again. After you have added your selection or made the changes to your selection, completing the checkout form is a breeze. Supply the required information with any additional notes you may have for us, select your shipping method, and as always no payment will be required until the work has been completed. If you have any questions, please don’t hesitate to contact us and we will be more than happy to answer them/assist walking you through the process. How do I use the Online Order System? 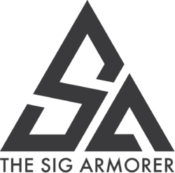 Using The Sig Armorer online order system has never been easier! Choose the service or services that you would like and add them to the cart via the "Add to Cart" button located at the bottom of each description. Once the selected service has been added, you have the option to continue browsing or view your cart. To view your cart click the "View Cart" link to the right of the add to cart button or click the cart icon at the top of the screen. For mobile users, the cart icon is located in the menu which is accessed by selecting the button with the three horizontal lines at the top right. Once at the cart/order submission screen, you will need to fill in the required information fields as well as add any optional notes you may have for The Sig Armorer team. At the bottom of the screen, you will see the subtotal for your current order and the options to drop off locally or to ship the firearm in using our new round trip label service. If choosing the pre-paid label service, the price will be reflected in the total at the bottom. Please note at the time of submission no payment will be required as it is company policy to not process payment until the work has been completed. Once all of the required information has been populated and the option to drop off locally or use the label service has been selected, submit your order. After the order has been submitted, you will be taken to an order confirmation page and will also receive an order confirmation email. You will need to print this out, along with the provided FedEx shipping label, and include the order confirmation print out with your firearm when you package it up. If there are any questions, please don't hesitate to contact us. How do I Ship my Firearm? The legal owner of a firearm may ship his/her firearm to The Sig Armorer via two means; through FedEx or by transfer through his/her local FFL holder. To ship your pistol to The Sig Armorer, you may either utilize our new Online Order System with pre-paid round trip label service or contact us via email or phone call to request the shop address. When boxing your firearm up, include the unloaded firearm, one magazine for testing purposes, a copy of the order confirmation email and a check, money order or cashiers check if applicable. Please see the FedEx Shipping Rules and Regulations for clarification if there are any other questions. To transfer your firearm through an FFL take your unloaded pistol with one magazine and pack it in its factory box (if available). Once you have dropped your firearm off at your FFL, The Sig Armorer and your FFL holder will handle the rest of the process. We accept most major credit cards as well as personal checks, money orders or cashiers checks payable to The Sig Armorer. Current turn around time for most trigger and action work is under three weeks. For custom work such as milling, refinishing and red dot installation it may take longer. What Happens to my Factory Warranty? A Sig Sauer Factory Certified Armorer works on every pistol here, ensuring that your factory warranty remains valid for most of the work that we perform. We also warranty all of our own work for the life of the pistol. The warranty is comprehensive in scope but limited to labor, repair or replacement of necessary parts. It is transferable and comes at no extra cost to the owner (unusual wear, tear or abuse excluded). If you ever have a problem with any pistol or other firearm we’ve worked on, we would like to know and be given the opportunity to make it one of your favorites again. Should I pursue the P320 Voluntary Upgrade? Simply put, yes, we do suggest pursuing the P320 voluntary upgrade offered by Sig prior to sending your P320 in for any of our P320 services. If you have already had work performed by The Sig Armorer on your P320 before the upgrade, we do offer a P320 Post Upgrade Action Job Rework for $95 plus shipping. What is a Trigger Job? Sig Sauer Classic Pistols are high quality firearms that will usually outlast their first owners. They were originally meant for Law Enforcement use and feature “duty” style triggers. That means that, although the internal parts are made to the highest standards, the fit and finish of the parts may vary depending upon parts batch, year produced, etc. So the average Sig Sauer owner may have a very nice trigger pull that may need no work or a very gritty, creepy, or otherwise distracting trigger pull. The Sig Armorer Trigger Jobs remove all unnecessary frictions from the Sig DA/SA, SAO, or DAK actions. This is done by honing, polishing, and precisely fitting internal parts to the point where the only forces that act against the trigger are spring forces. The user can expect their Double Action pull weight to lighten up by nearly 18%; depending on model, and their Single Action to respond in kind up to 30%. The Sig Armorer’s Trigger Jobs always utilize factory power springs to ensure proper primer ignition every time. What are the Benefits of the SRT System? Sig introduced the SRT somewhere around 2005 to help make their pistols more competitive in the Law Enforcement contract arena. The SRT system shortens the reset of the Single Action stroke by 60%; aiding in fast follow up shots especially under duress where one is more prone to accidental short stroking of the trigger. What are the Benefits of the QTR System? QTR, or Quick Trigger Reset, is a proprietary product from Famed Gunsmith Gerry Ritacco of Total Automation. 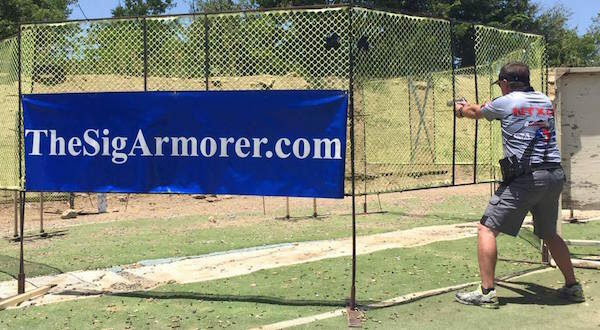 The Sig Armorer is the only authorized outlet other than Gerry himself for this product. QTR shortens the single action reset just as much as the SRT does, but in a different way that allows us to create a better single action let-off. Two additional features of the QTR system are reductions in take-up of nearly 50% in Single Action mode and nearly 75% in Double Action mode. This is accomplished thru modification of proprietary parts only. How Light Can I Go? While some outfits achieve light trigger pulls by utilizing lighter than factory springs, we focus on the texture and geometry of the pull. That being said, we can tune competition action jobs on the standard P series models to as light as 2.25 pounds in single action, and 7.5 pounds in double action. While the P320 is 4.0 pounds in the competition job and 5.0 in the carry level job. Can You Improve Upon the Legion Series? Our full complement of trigger and action work will provide the same fantastic outcome that we’re able to produce on the rest of the P-Series pistols. We welcome the opportunity to visit with you in person, as it allows us to further customize the work to your needs. We have plenty of demonstration pistols on hand for you to get an idea of what to expect. We welcome visitors to the shop by appointment only. To schedule a visit, please don't hesitate to contact us. Our apologies but we do not sell firearms. If you are interested in sourcing a new pistol to be sent in for work, we suggest purchasing from a reputable dealer. If the pistol is purchased online, it can be transferred directly to The Sig Armorer for the desired work to be completed. Is Breaking in my Pistol Necessary? Breaking in the pistol before sending it in for work is not necessary, but will give you a baseline to compare our finished work. What is an Action Job? The Sig Armorer’s Action Jobs include all the fitting, polishing, and friction reduction from the Trigger Job but adds custom geometry changes. This includes customer preferences in the values of take-up, creep, over travel, reset, and pull weight reductions. The Carry Action Job moderately reduces all the trigger functions so that the user has a nice compromise between safety, reliability, and comfort. The client can request Single Action trigger pulls down to, but not surpassing 3.5 lbs. per The Sig Armorer policy. The Competition Action Job takes all the facets of the trigger pull to the extreme to produce a truly fast shooting competition gun. The competition shooter will enjoy Double Action pull weights in the 7 lb. range and Single Action weights down to 40 ounces. If there are any questions, please don't hesitate to contact us. We like to help our customers as much as possible. If you have any questions, please utilize the contact form below or give us a call at 972-342-2717.